I love cheese. I swear I could eat cheese and bread for the rest of my life and be happy. I remember many a day in France having bread and cheese for dinner cause we were too cheap to have anything better. Really deep down though it was what we wanted so it is hard to consider it being cheap. Anyway French cheese is real good and of course stinky. It is hard to replicate French cheese in the US due to some FDA rules about raw milk and pasteurization. However, I have come upon a yummy cheese at Whole Foods that puts up a fight for French cheese goodness. It is called Fromage de mieux. ( I think. I feel like a cop-out but I threw the label away before I could get the correct name, this is very close though.) This translates into "cheese of better". So if my name is a bit off it is because I am internally making it what I want it to be - better cheese. So go out and try it. Leave it out to room temperature for about 3 hours before eating. This will make the room smell. It is well worth it though as the gooey texture is half of the goodness. It's been a long day, and a long month. My blogging as lagged considerably in the last few weeks. I am ashamed to admit the amount of food I have ordered in. It's not even good takeout. Sadly, I cannot see a change in the near future. Forgive my un-foodie-like habits. Instead I will blog about one of my new favorite weekend rituals. For Christmas Jordan got a Bodum French press. I have heard pros and cons for this machine or I guess more precisely French press coffee. Is it better or worst than the drip? I personally think it is all a matter of personal preference. My personal preference I am hear to say - I love the French press. The texture and smoothness of the coffee just relaxes me all over. The downside is that it takes a bit more effort than just pressing the button on standard coffee maker. You measure the grounds, boil the water, measure the water and then wait for the magic to happen. On weekday mornings this is not something I am willing to submit to on a regular basis. However, the weekend is a different story. Starting Saturday morning with this toasty little cup is enough to make my day. Yum yum, it is really worth a try. Yesterday was February 2nd. In the United States this is Groundhog's Day. The infamous day when the little creature determines whether or not winter will last 6 more weeks depending on if he sees his shadow. I wonder who ever came up with this day or idea? In France February 2nd is Le Chandeleur. In a moment I will explain the traditions that go along with Le Chandeleur. My time in France taught me only one thing about this day - eat Crepes!! I think I would rather celebrate February 2nd a la Francais. 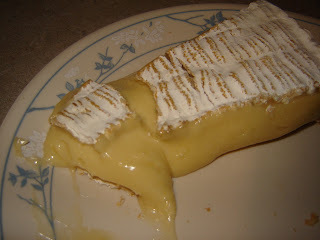 I suppose you could make the comparison of Le Chandeleur with April fool's day - very loosely of course. I would hate to offend any French. Le Chandeleur is a holiday that welcomes the first signs of spring. In France, it is traditionally celebrated with a variety of superstitious little tricks to bring happiness and prosperity upon your household while making and eating crepes. Mardi Gras is also fast approaching which is yet another opportunity to eat crepes. You can learn more about this holiday by checking out the Chocolate and Zucchini blog. There are many crepe recipes on this site as well. Now I love crepes and use to visit crepe stands almost everyday in Paris. I will post pictures of my favorite crepe stand which my friends and I lovingly visited and chatted up the "Crepe man" I think he was instrumental in my French language progression. Anyway, please do not be intimidated by crepes. Although the batter makes quite a few for one or two people the little pancakes can be easier frozen with some wax paper between each layer. You can have crepes in a minute by simply taking one out and popping it into the microwave for a about 20 seconds. My favorite to this day is Nutella and banana. For a special treat add a bit of coconut flakes. Now that is one awesome desert. You can also put saute veggies and cheese inside for meal-type savory dish. So although Le Chandeleur has passed go out and try making some crepes. They are delicious!